Historical society officials said Alan Fromkin has agreed to preserve the existing facade of the former fire house while demolishing the rest of the building. The partners in a plan to include Huntington’s first fire station in a four-story retail and apartment building with parking garage will appear before the town’s zoning board of appeals on Thursday. John Kean and Alan Fromkin, the developer and owner, respectively, of 235 Main St., say the 84-unit apartment building, which will total 271,836 square feet and involve combining five contiguous lots all owned by Fromkin, will relieve some parking tensions in the town and that the building will only be a few feet higher than it is currently. Parking and the height of the building are among the issues raised by opponents of the project. Kean and Fromkin want to demolish all existing structures on the five parcels and seek variances from the zoning board including for building height, ground level uses in a mixed-use building, parking structure lot cover and parking setback requirements. “My project is unique and has many benefits for the town, like the parking,” Fromkin said. The proposed project requires 262 parking spaces. The parking garage will provide 127 spaces. Fromkin points out that right now he has variances from the ZBA for 392 parking spaces. Under the new proposal he will only need variances for 135 parking spaces. Members of Save Huntington Village, a group of residents concerned with the increasing number of apartment buildings in the downtown, sent out a mailing urging attendance at the zoning meeting to oppose the project. The properties to be impacted include 235 and 243 Main Street, a gym and office building on Stewart Avenue and Mac’s Steakhouse on Gerard Street. The Jos. A. Bank building on the corner of Main Street and Stewart Avenue is not included in the proposal. A smaller Mac’s Steakhouse will be built on the corner of New York Avenue and Gerard Street. 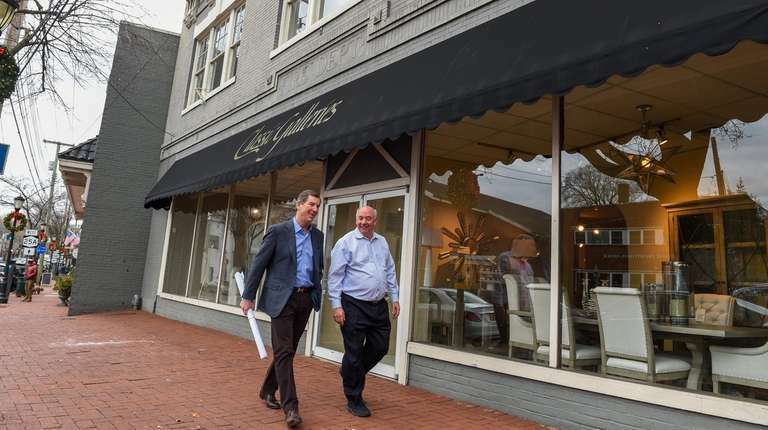 The Classic Galleries furniture store that is currently housed in the former fire house and at 243 Main St., will also be scaled down but remain in its same location. Fromkin said town code counts a parking garage as a “story” so the project is considered a four-story building. He said access to the garage will be ground level — like a walkout basement in a home. In 2016, local historians made a push to have the town board designate the fire station building as historic with a public hearing held that July. But the board did not vote on the measure, triggering a default denial, town officials said. 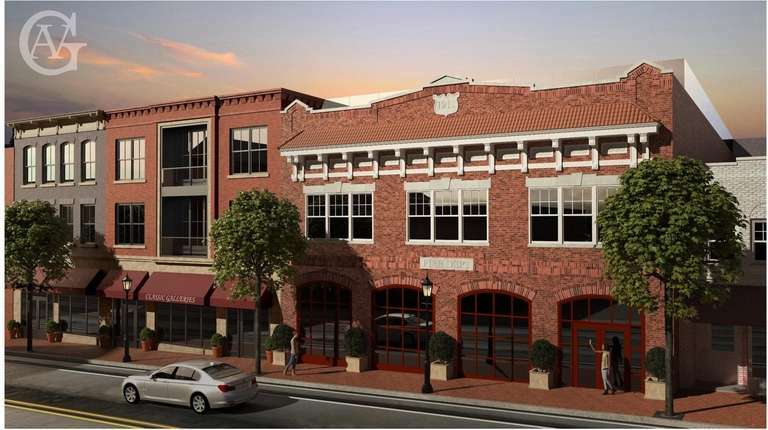 Officials from the Huntington Historical Society said they are pleased that Fromkin has agreed to preserve the existing facade of the former fire house while demolishing the rest of the building and will recreate the look of the firehouse doors to appear as they were when the station was built in 1911. The public hearing will be held at 6 p.m. at Town Hall, 100 Main St.